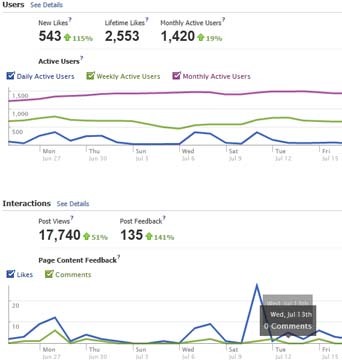 Tracking your Social Media Investment: Is it helping you reach your business goals? You have deadlines to meet, projects to launch and new clients to pitch. You don’t have time to devote endless hours to a social media plan that won’t work. And you didn’t dive into social media to win a popularity contest or to drive millions of viewers to your web site. You are building a social media campaign around your company’s specific business and marketing goals. It is the cost and time required to attain these goals that will measure the success of your social media efforts. Unlike tracking traditional online marketing activities such as sending email newsletters, analyzing ad buys and monitoring web site traffic, social media campaign measurement can be a bit more elusive, because it’s about more than views, clicks and conversions. Most digital metrics center around the beginning and end of the online relationships process. In other words, the first moment someone visits your web site (view, click), and then the final act of becoming a lead (frequency of conversion). Social Media falls somewhere in the center of this process and can be measured by engagement and interaction. When nurtured and implemented correctly, the strength of that engagement and quality of interaction will help a potential client form the ultimate decision about you or your company. It is these ongoing social interactions that help your connections ultimately decide whether they want to do business with you one time, multiple times, or, in a best-case scenario, become a repeat customer and an online advocate for you and your company. Social media measurement, therefore, goes well beyond the first or even final click. It encompasses how groups of people are engaging with you, your company and/or your employee thought leaders within social networks, and if those interactions are helping you reach your ultimate goal. Therefore a primary goal for social media is to create meaningful, lasting relationships with people who may eventually become your clients, business partners or valued media connections. It is not about how many unknown Twitter followers you can collect. It’s about the quality of engagement received as a result of your participation in the social networks. It’s about building real relationships that will lead to real opportunities. Holly Berkley is the author of Marketing in the New Media and Low Budget Online Marketing for Small Business. Her newest book, Social Media in Action… will be available in Fall 2011. Holly has developed a 3-month corporate social media training program to help companies craft a social media presence that ties directly into existing initiatives or goals. Contact Holly Berkley to learn more about how she can help enhance your company’s social media outreach program. This entry was tagged corporate social media training, holly berkley, marketing in the new media, san diego online marketing consultant, san diego social media consultant, social media consultant, social media measurement, social media plan, social media tracking. Bookmark the permalink. Hello Holly. Very interesting blog content. I am new in IM and I recently started a blog where I, with help of my mentor, Marc Milburn, help everyone who’s interested to set up a successful internet business. I will put your information to good use.